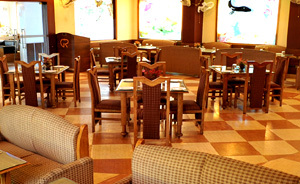 Hotel Ganges RIVERA has earned a place of respect in the Hospitality Industry. It has become for the people of Haridwar and for visitors to the city, the happening place. Not without reason. We have, in a planned manner and with eye on providing excellent service to our guests, built up the very best of facilities. This allows a balanced and objective assessment of our performance. 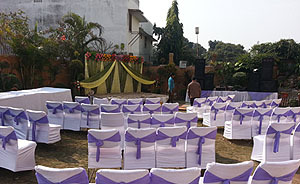 The facilities are the best possible for the convenience of customers. In a city where space is at a premium, we provide most spacious parking. Beautifully decorated reception and spacious lobby with a fine synthesis of style and grace giving a feel of quite and calm atmosphere. In the best traditions of Indian hospitality, our restaurant caters to your culinary and entertainment needs. The Food Bizarre, Air-conditioned, Tastefully, Decorated Restaurant, Lunch, Dinner, South Indian & Continental Snacks. The Conference Hall, Air-conditioned, Wall to wall carpet Panoramic view of the river Ganga. The Banquet hall with capacity of 500 persons, Theatre style. Currently swimming pool is under renovation.